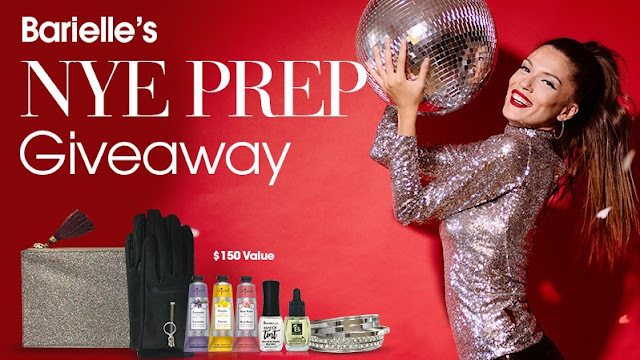 Barielle wants you to shine this New Years Eve, so they're giving away a prize package worth $150 with fashion, jewelry, beauty items and more! PRIZE: A J.Crew Glitter Pouch, a pair of Forever 21 Zippered Faux Leather Gloves, a Forever 21 Rhinestone Bracelet Set, Barielle’s NEW Hint of Winter Nail Moisturizing Treatment, Barielle’s Cuticle Conditioning Oil with Almond Oil with a dropper, and 3 Difeel Luxury Hand Creams! Grand prize valued at $150.